Banking is easier these days. Whenever a client plans to deposit or withdraw cash, everything can be done through the point of fingertips. Don’t you know that it is just one of the features of an industrial computer? Certainly, it is not just a typical computer. Yet, it is an embedded computing technology connected to the bank’s main server to aid and manage all banking transactions. Curious to learn about all these? Read on and let’s invade the world of banking industry. 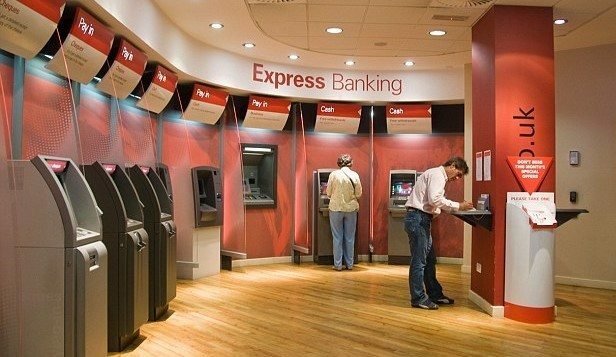 How An Industrial Computer Comes Into The Banking Industry? Most likely, you already know how different Automatic Teller Machines (ATMs) and Self-service Kiosks are used. But, you have no idea on what type of computer it was. Even from the beginning, the machines used in ATMs and self-service kiosks are embedded computer systems. But, let me tell you some interesting facts. Definitely, this might help you decide on how to utilise industrial-grade computers and conquer the world of banking business. Some people may have felt the convenience and ease of banking. People can now access their bank account online and do the banking anytime, anywhere you like by simply using ATMs. But for others, they still have this reluctant feeling. You can’t blame them because, really, the nature of banking business has a complicated process. From storing your personal data to transmittal of various transactions, security protocols must be efficient and effective. Without the organisation of banking procedures, every client is a target for potential risks such as identity theft and fraud. Obviously, the right things can only happen if an appropriate technology is at help. But, why use industrial PCs instead of commercial-grade computers? We are all familiar with the computers. But, only a few know the difference between the commercial and industrial computers. Here’s a quick overview of the two. Commercial computers have limitations when it comes to working environment. It can easily damage once it is constantly used. Industrial-grade computers work in various types of environments depending on the needs. As a matter of fact, industrial PCs are made with variations of temperature, humidity, exposure, vibration, shock, and extreme operating conditions. Keep in mind that ATMs and kiosks are constantly used by the public. Commercial computers can only be used for few hours in a day but industrial PCs are designed for long hours of heavy operation. Take note, ATMs are 24/7 operational. In addition, commercial-grade computers cannot endure the heat when frequently use where some internal parts may be damaged. On the other hand, industrial-type computers have integrated cooling fans to dissipate heat efficiently. There are similar applications installed in both industrial and commercial computers. The only difference is that industrial-type computers can carry heavy applications. It can even store big data as well. Always remember that a banking business holds big data of their clients. It uses Business Intelligence (BI). BI is referred to as an application, technology, and solutions used to organise, collect, analyse, and access data. Industrial PCs can provide the best advantages for your needs. This is not only for the banking industry but other financial institutions as well. Such kind of technology is designed to cope up with the digital age and boost your competitiveness in the business. Some businesses might not see the benefits of using industrial-grade computers. But, it would an advantage to be the first one to know the perks of it. If you want to know more, consider talking to an industrial PC expert today.